Jason Kidd trends online as the Milwaukee Bucks escaped elimination in the hands of the Chicago Bulls in the first round of the 2015 NBA playoffs. The masterful backcourt general of a point guard during his playing days, now has everybody talking about his brilliant coaching stroke in Game number four of the series. 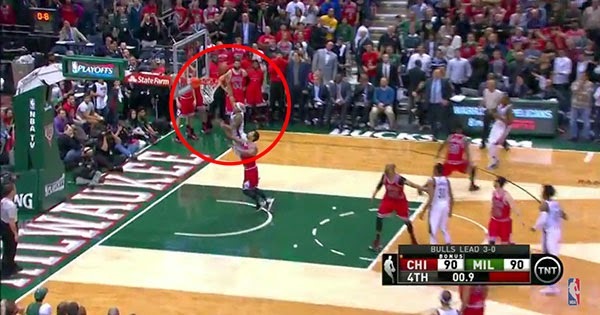 Jerryd Bayless may have made that buzzer beater of a layup against former MVP Derrick Rose under the basket to win the game for the Bucks 92-90, but it cannot be denied that credit goes to the sophomore head coach in that exceptional play. In only his second year of calling the shots, the first with the Brooklyn Nets last year, Kidd had his team call timeout as they got the ball after the Bulls missed on their attempt to break the tie, 90-all, with a steal by Khris Middleton with 1.3 seconds left on the clock. Most were getting ready for another overtime playoff game, but Jason Kidd called for a timeout. Time was adjusted from 0.8 to 1.3 seconds by the officials while Kidd drew up the play for his young and inexperienced Milwaukee Bucks. Jason Kidd, who has played on four teams in his NBA playing days (Dallas, Phoenix Suns, New Jersey Nets and the New York Knicks) has championship pedigree winning one ring as a member of the Dallas Mavericks back in 2011. This year he came out third in voting for NBA Coach of the year finishing behind winner Mike Budenholzer of the Atlanta Hawks and second-placer Steve Kerr who coaches the Golden State Warriors. Their best of seven Eastern Conference series is now at 3 games to 1 with the Bulls leading. The series now shifts back to the state of Illinois for game 5 in Chicago.